Only 59 in stock. Additional quantities will deliver at a later date. 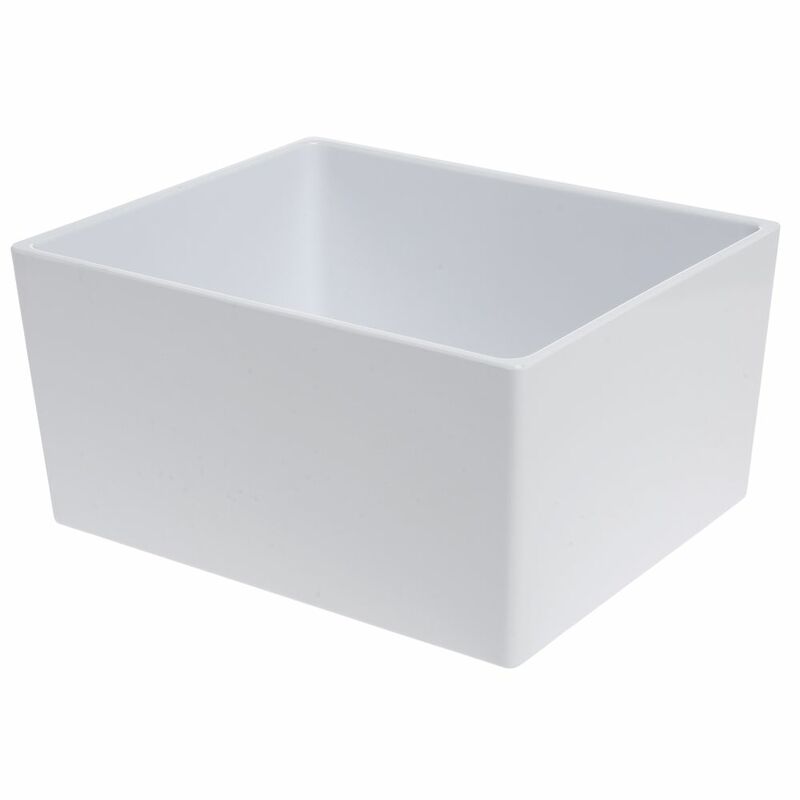 This half size modular pan is made with heavyweight melamine. 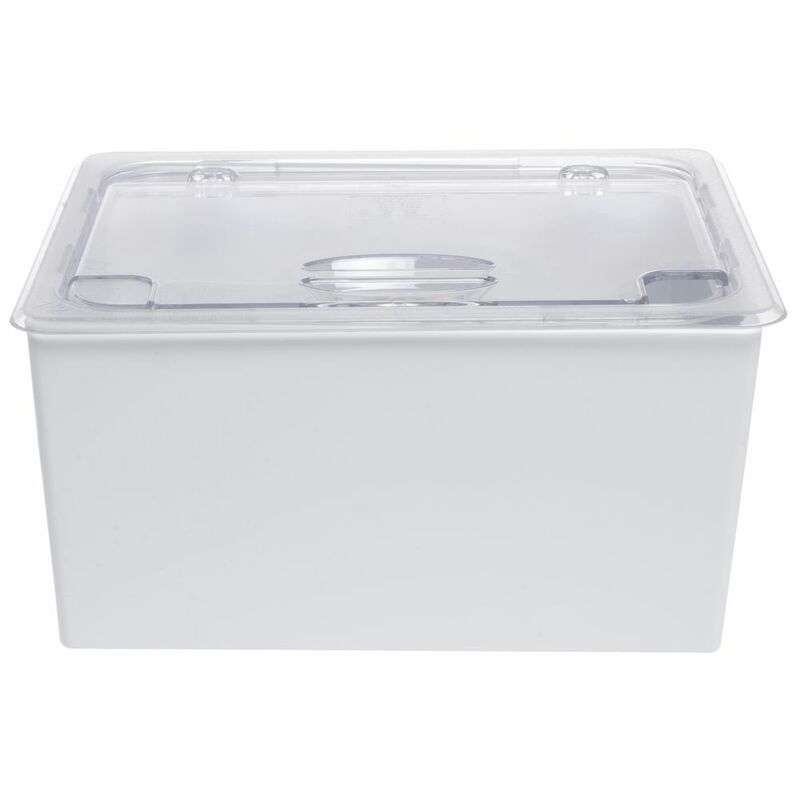 This allows the pan to be used in cold deli cases or cold food service wells. Be sure to not use them in hot environments. 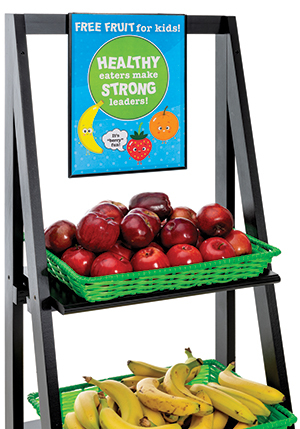 The modular size lets you mix and match with additional sizes (sold separately) to create a display that meets your needs. 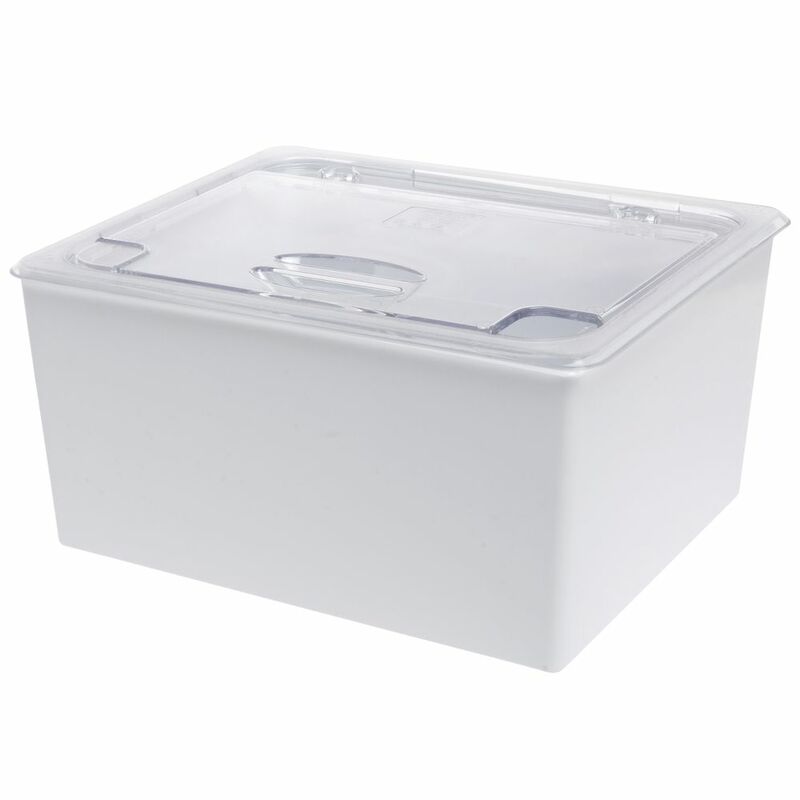 This crock lid is specially designed to cover a container made Expressly for Hubert. 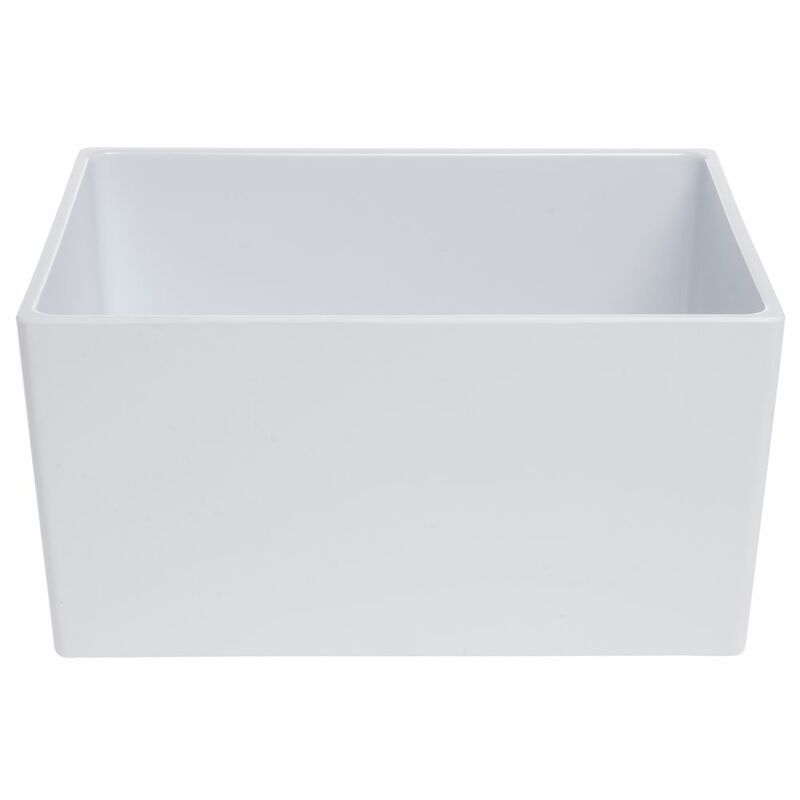 The cover will fit a rectangular 10"W x 12"L container. This crock lid flips open for easy access to food product. The notched cover closes down with a serving utensil. This crock lid protects the food while easily viewed for your selection.